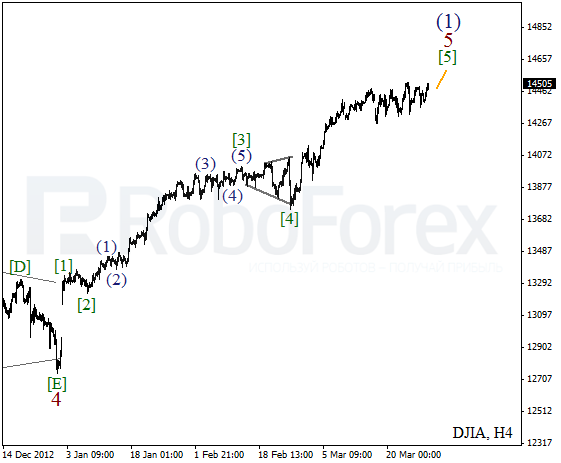 At the daily chart the Index is still forming an ascending impulse inside wave (1). 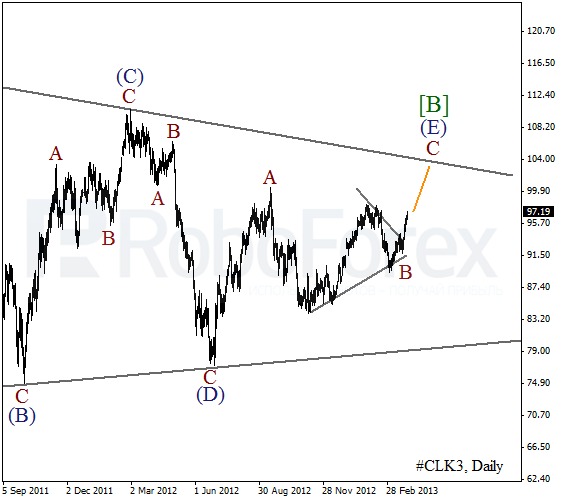 Earlier the price completed horizontal triangle pattern inside the fourth wave. Most likely, the instrument will continue moving upwards inside the fifth wave during the next several weeks. 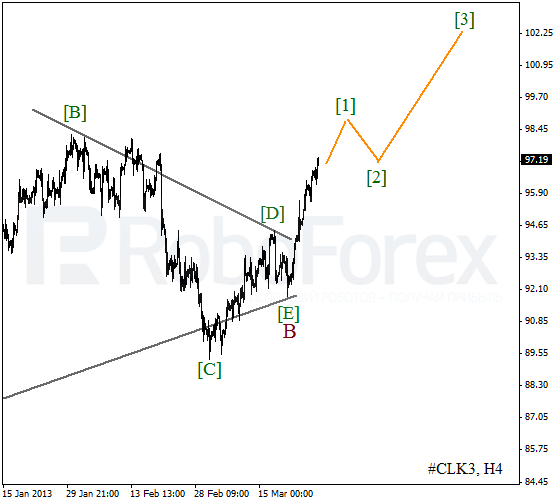 As we can see at the H4 chart, the price is forming wave . We should note that an impulse inside wave 5 is being formed quite fast and so far there are no signs of a possible reverse. 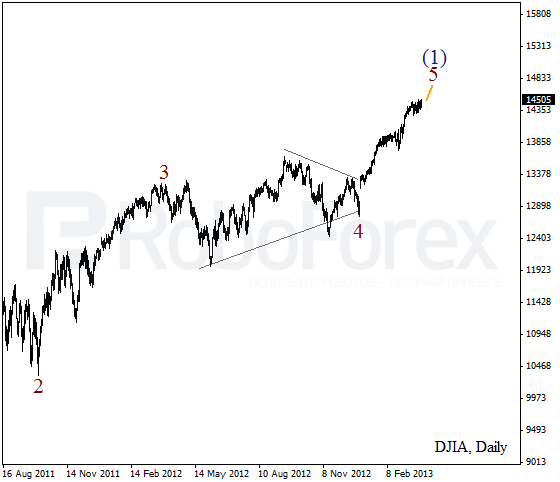 Most likely, the market will reach the level of 14600 in the nearest future. The previous ascending movement made by Oil forced us to reconsider the wave structure. It looks like the price is still forming triangle pattern inside wave [B]. On the minor wave level the instrument is forming an impulse inside wave C and may continue moving upwards in the nearest future. More detailed wave structure is shown on the H4 chart. It looks like the price is completing an impulse inside wave . Later Oil is expected to form a correction and then start growing up inside the third wave.